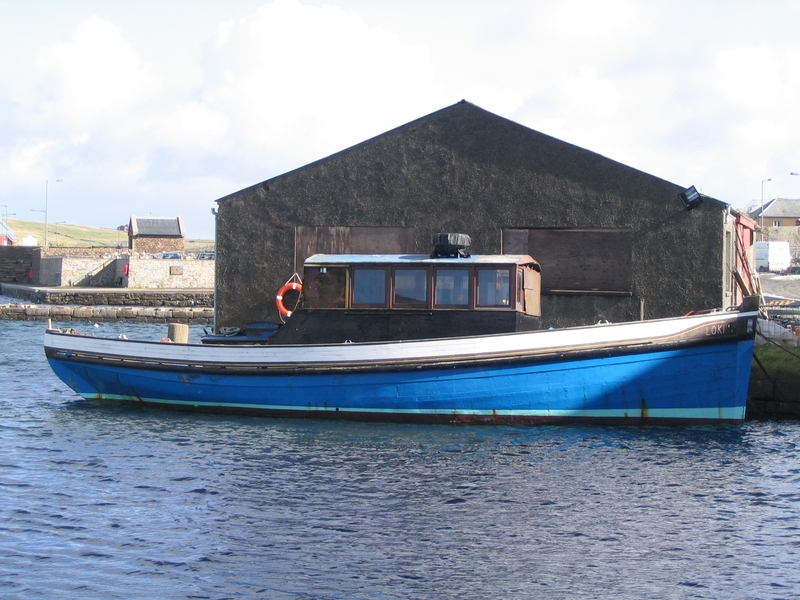 LOKI is an ex-Zulu fishing boat, with official number 161170, registered at Lerwick. She was designed by John Shewan and built by Hay & Co Ltd. in 1904 at Hays Dock, Lerwick. Her hull is carvel built with larch planking, oak frames and a redwood deck fastened with iron nails. She has a pointed bow, a plumb straight stem and a Zulu stern. She is rigged as a schooner with Bermudan sails. Her current engine is a BMC Commodore diesel, with four cylinders and 53 brake horsepower, made in 1960. LOKI was formerly known as MAGGIE HELEN. She later became an auxilliary fishing boat and was converted to a yacht in 1952. She cruised to Scandinavia every summer from 1953 to 1997. The vessel now has a new deck, keel, steel rudder and sheer strakes.